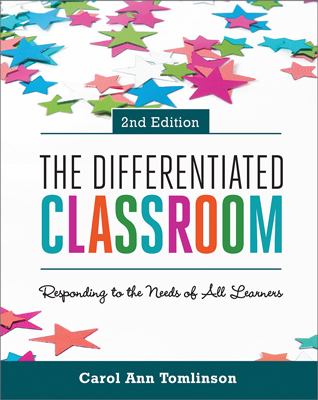 In the 15 years since the first edition of The Differentiated Classroom: Responding to the Needs of All Learners was published, many things have changed on the education landscape. Many things remain constant as well. In this webinar, Carol Ann Tomlinson will look at some key changes that have—or should have—an impact on teaching and learning, and she will take note of important ideas that remain at the core of teaching that is successful with the broad range of learners typical of today's schools and classrooms. Attendees will also have an opportunity to pose questions related to differentiation to Carol Ann Tomlinson. Carol Ann Tomlinson is William Clay Parrish, Jr. Professor and Chair of Educational Leadership, Foundations and Policy and co-director of the Institutes on Academic Diversity at the Curry School of Education, University of Virginia.